AMAZING home with large bedrooms and open loft/recreation space on the second level! 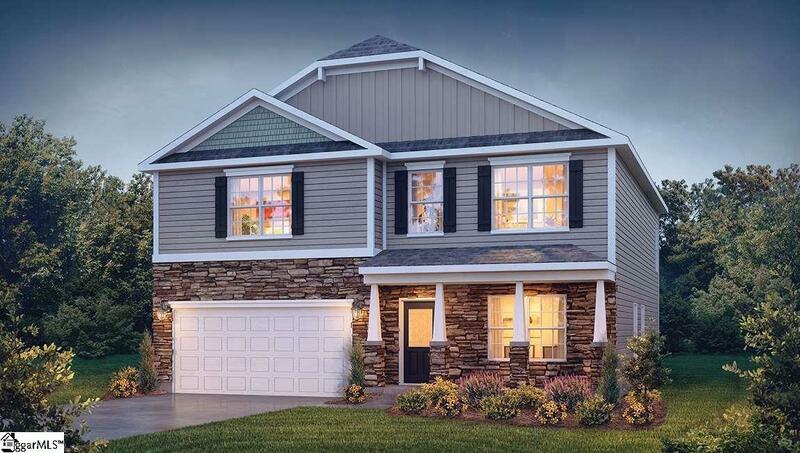 The Wilmington is the home that you've been searching for. So, stop looking and start living! This home has great curb appeal with its stone accents and craftsman style columns. Entering the home you're greeted by a wonderful formal living room that opens to the dining room. Flowing into the great room you will find a gorgeous gas fire place! The kitchen is open to the great room and features beautiful granite countertops, a stylish ceramic tile backsplash, recessed canned lighting designer espresso cabinetry with polished nickel hardware, stainless steel appliances, and a large center island! The home also has gorgeous laminate flooring throughout the main level. The second level is amazing and features four large bedrooms, all with spacious walk-in closets, and a central bath with dual vanity sinks. You'll also find a loft/rec room that is the perfect hang out spot. The owner's suite is breathtaking and features soaring vaulted ceilings. The owner's bath has been upgraded to include; dual sink vanity, walk-in shower and separate garden tub. This incredible location is just minutes from Greenville and Spartanburg (right next to Greer High School and Greer Country Club), with easy access to Hwy-14 & Hwy 29 (Wade Hampton Blvd.) Call List Agent for more details and to schedule a showing/appointment!